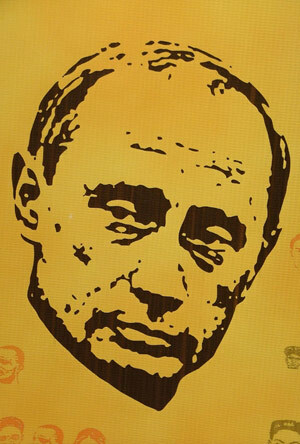 PM Putin won the presidential elections on March 4 with 64% of the vote, despite widespread claims of voter fraud. Prime minister Vladimir Putin won the presidential elections on March 4, with an unexpectedly strong 64% of the vote, although there were widespread claims of voter fraud. Focus will shift to the composition of the new cabinet, which should indicate whether Putin will tackle in his third term some long-deferred reform projects. Putin made campaign promises that would increase government spending by as much as five percentage points of GDP through 2018, according to analysts. Government spending in 2011 stood at just over 20% of GDP, and the federal budget posted a surplus of 0.8%. In part to compensate for this anticipated growth in expenditures, the government, as domestic media reported in mid-February, is planning a number of tax hikes to be implemented after elections. They will include a 2% increase in VAT—to 20%; the eradication of the personal income flat tax in favor of a progressive taxation scale; the reintroduction of the 34% social security tax; and an increase in alcohol and tobacco excise taxes. Putin also has a luxury tax in the works. The finance ministry also proposed a marginal tax rate of 80% on future domestic gas tariff increases, in the form of a higher mineral extraction tax, which would decrease the benefits of proposed gas market liberalization for state firm Gazprom. After suggesting a reinterpretation of the tax code that would have imposed a 20% tax on eurobond coupon payments, the finance ministry has reversed its position. The proposal would have hit state-owned companies—the largest issuers of eurobonds in Russia—the hardest. Standard & Poor’s said that targeted bank lending growth of 15% to 20% in 2012 would be difficult to achieve at current capitalization levels. At this point banks have only a “moderate” cushion against unforeseen risks, the rating agency said. Danish brewer Carlsberg announced that it would spend nearly $1.2 billion to buy the15% stake that it does not already own in Russian brewer Baltika, the country’s largest beer producer.